Published: March 02, 2019 16:12 Keith J Fernandez, Special to tabloid! When Ross Shonhan launched Bone Daddies in London, he wanted to show people there was more to Japanese food than sushi and sashimi — and his ramen restaurant was a contemporary approach for a global audience. Seven years and several successful ventures in the British capital later, this former head chef at Zuma and Nobu hopes to do the same in Dubai. The Japanese-style steakhouse Netsu introduces Dubai diners to the concept of warayaki when it opens at the Mandarin Oriental Jumeira this week. “We will be the largest warayaki outside of Japan,” he told Gulf News tabloid! via email ahead of the opening. The grilling technique, which can see temperatures climb to 900 degrees Celsius, uses burning straw to impart a distinctively smoky flavour. Besides bonito — a sort of skipjack tuna — and Wagyu, Shonhan’s team is creating some specific dishes to this type of cooking. There’ll also be plenty of straightforward sushi and sashimi, he says, but it’s the warayaki grills he expects to be the real crowd-puller at the 190-cover restaurant. Typically, Shonhan, 41, won’t say how many more international restaurants he’s looking at opening, or when they’re likely to open, or even whether they’re with the Mandarin Oriental. “Nothing is 100 per cent confirmed but we have a few irons in the fire,” he says. The Australian-born former rugby player first fell in love with Japanese food as head chef at Nobu Dallas and has launched three brands to showcase different aspects of the cuisine. Bone Daddies, Shonhan’s chain of London restaurants, introduced the UK capital to ramen, while Flesh & Buns is an izakaya-style bar concept and Shackfuyu serves Yoshoku food, or Western-inspired Japanese dishes. The idea of a Japanese-style steakhouse has been on his mind for some time now, and the Dubai restaurant is his first international venture. “I’ve had a relationship with the team at Mandarin Oriental Hotel Group for more than seven years [and] we’ve explored a few opportunities to collaborate. However, when they mentioned the Dubai project, it was just timely and felt the right location for my international expansion. The appeal of Dubai as a gastronomy destination has grown further and it will be the perfect scene to introduce our unique concept,” he says. Korean and Japanese dishes jostle for space on his menu, and Shonhan expects his sweet, spicy and crunchy Korean Fried Chicken to be one of the most popular dishes. There’s plenty of beef, including a Sukiyaki recipe, where the traditionally thin sliced sizzling beef is finished with a sweet soy sauce and truffles. And rice highlights include a beef hot stone recipe that plays off similarities with Korean bibimbap, with spicy, crispy rice, and Wagyu Beef Rice Deluxe, where rice cooked with beef stock is presented with a range of toppings including Wagyu, sea urchin, salmon roe and gold leaf, which will be mixed before serving. Despite being a steakhouse, the venue will also cater to the rising demand for plant-forward options, he says. 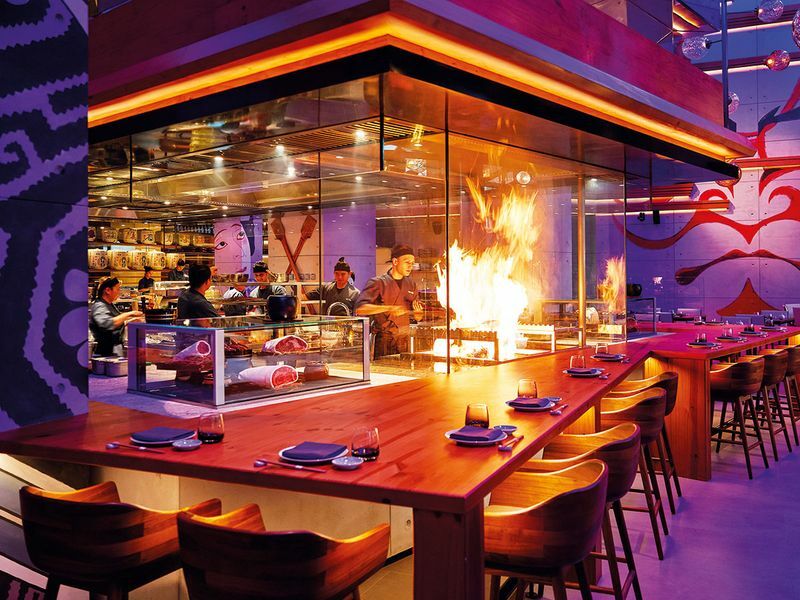 As someone born and raised on a cattle ranch outside Queensland, a steakhouse may be a natural fit, but Japanese professional kitchens are famously insular, with technique-driven processes that can require years to master. 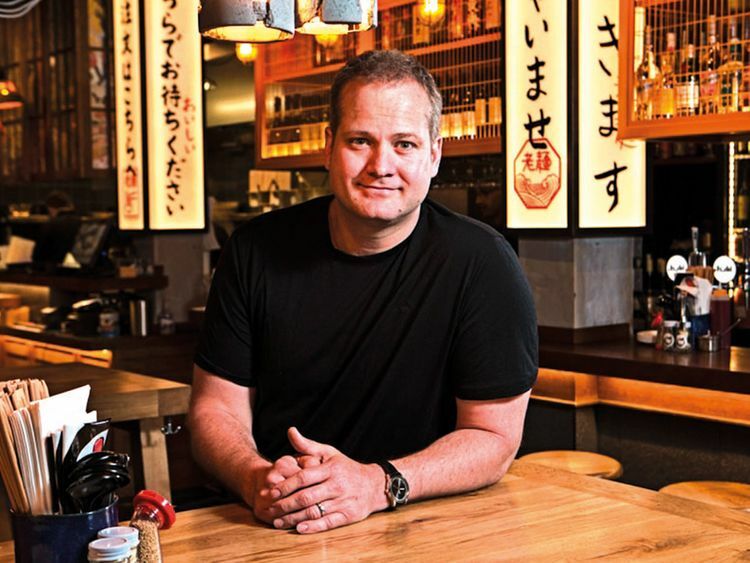 Shonhan won’t be drawn on how difficult the journey has been for him personally, but he says he believes Australians are well placed to be ambassadors for Japanese food.